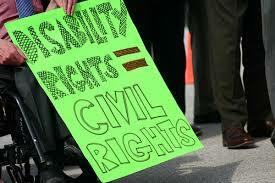 Technical Difficulties is the region’s first weekly Disability Rights show! The region’s first weekly show covering topics of Disability Rights. – Noon to 1 PM CST Fridays with replays Saturdays at noon. Just when you thought it was safe to be ableist…Technical Difficulties returns! Do you enjoy Technical Difficulties? Consider donating to KPPP-LP to help us keep bringing local color to your airwaves. KPPP-LP is a low power, non-commercial radio station funded by the generous gifts of our listeners. Your monthly gift of $5 or more will go a long way to help our wonderful team of volunteers, interns, and producers keep bringing you the high quality, local content you’ve come to expect from KPPP-LP. Your donation to KPPP-LP can be made online at kpppfm.com/donate. In the message line, simply enter Technical Difficulties to make sure your gift goes toward our show’s operating costs. You can also mail a check to KPPP-LP. Make check payable to the People’s Press Project with KPPP-LP FM/Technical Difficulties in the memo and mail it to: The People’s Press Project, 1517 4th Ave. S. Moorhead, MN 56560. All donations made will be sent a tax deductible receipt and email updates of the progress of the project. Technical Difficulties returns to run the rule over the latest actions of politicians and protesters but also, fundamentally, to explain where Tim has been. It has been an odd period of time but now that he is working part time, more regular updates should be posted. First off, Anxiety UK give us tips for dealing with stressful times. Second, we hear from Christine Miserandino, the driving force behind ButYouDontLookSick.com and the inspiration behind the #spoonie scene. Please join us, and wear your scars with pride. Archived show of the debut of Technical Difficulties, the region’s first weekly Disability Rights show: Noon to 1 PM Fridays. This Show aired on October 14.